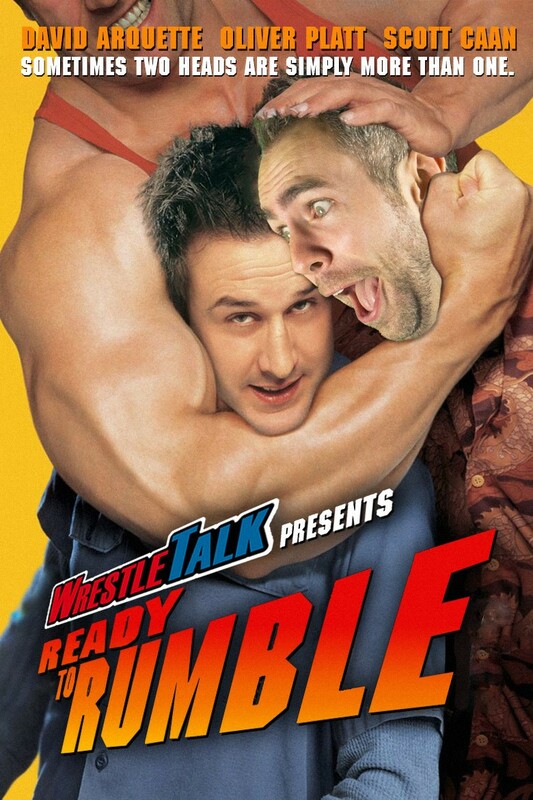 After presenting "Beyond The Mat" last November, Oli Davis, Luke Owen and Laurie "El Fakidor" Blake, the stars of the popular UK-based Youtube channel 'WrestleTalk', are back at The PCC with a "Wrestle-A-Long"* 35mm presentation of READY TO RUMBLE. Released in 2000, this critically panned movie—based on the now defunct World Championship Wrestling (WCW)—was largely overshadowed by the controversial storyline WCW employed to garner publicity for the film's release. In an attempt to market the film and to attain more viewership for their weekly television show, WCW had the film's star David Arquette, a real-life wrestling fan, win their prestigious World Heavyweight Championship. This decision is often cited as pivotal to the demise of WCW. In 2018 Arquette has since returned to the world professional wrestling in an attempt to earn the respect of the fans that have trolled him since 2000; making it only fitting that we see this film return to the big screen! As with our previous screening, WrestleTalk want to bring the atmosphere of a live wrestling show to the screen for this special performance. Oli and Luke invite you to bring your signs, your best chants, and favourite quotes from the film along with you! Don't stop there though! Be sure to wear your favourite wrestling t-shirts or cosplay as your favourite wrestler! After the film, Oli, Luke & El Fakidor will bring you a LIVE WrestleRamble, where they will discuss the film and more! Get down early, as the WrestleTalk stars will be in the upstairs screen selling merchandise and meeting fans from around 20:15! * Please Note: No actual wrestling is permitted during this performance. Leave that to the pros. Gordie Boggs (David Arquette) and Sean Dawkins (Scott Caan) are best friends who operate a sewage truck and idolize pro wrestler Jimmy King (Oliver Platt). After Diamond Dallas Page (Diamond Dallas Page) dethrones their hero, Gordie and Sean embark on a mission to help King get his title back. When they finally track him down, however, they discover that King is not too keen on recapturing his former glory. Can the boys find a way to motivate the faded champ?